I hear this all the time – “We’re interested in geofencing our campaign.” It sounds sexier than a Caribbean Sports Illustrated Cover Shoot. And geofencing is super cool stuff, but it’s not directly connected to display advertising. What most people are talking about when they refer to geofencing is actually radius targeting – that is the ability to tap into device GPS functionality to narrowly target consumers down to the ZIP code or lat-long level. Geofencing requires a double opt-in and involves the resulting push of SMS or MMS notifications when the opted-in consumer crosses the defined ‘fence’. Radius targeting, on the other hand, employs Location Based Services or LBS publishers to then serve up resulting ad experiences based on that consumers’ distinct location. Geofencing – Our client MillerCoors wanted to reach business travelers to connect this valuable audience with their Blue Moon brand. We set out powering QR/SMS on tent cards in airport bars seeded throughout 27 key airports around the US. We then constructed a ‘fence’ around those airports that are designed to trigger text messages when the opted-in consumer crosses any of the respective fences. The call to action was clear: Join the ‘Blue Moon Club’ so you can find your favorite beer, wherever your travels take you. Once the consumer either scans the QR or texts the keyword to the short code, they’re sent a text message asking them if they’re sure they want to ‘join the club’. They respond ‘yes’, which then enables Hipcricket to send them text notifications whenever the consumer enters one of the fenced airports. “Get your Blue Moon beer at Sally’s Bar near Gate 27.” Sounds good to me! Radius Targeting – Our client Bally’s Casino had the goal of driving Las Vegas visitors into their live show, ‘The Price is Right’. Their data showed that attendees to these shows make their entertainment decisions spontaneously, so we set up a Radius Target around the Las Vegas Strip, tapping into Location Based Services ad inventory and only serving ad impressions to that very narrow geotarget. Combining dayparting this hyper-local approach reached the right consumers in the right place, at the right time. There certainly is a more misguided approach to radius targeting. 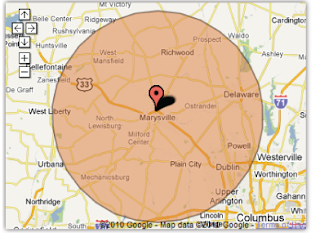 We had one client representing a fast food chain who wanted to radius target a fast food competitor in a major DMA – we’re talking hundreds of radius targets. The sheer number of radius targets, combined with the generality of the vertical, and the population density of the DMA, essentially meant we would be pretty much targeting the entire city anyway, so a much more cost effective approach was a simple DMA target with demographic targeting layers and dayparting aligned with menu items. Mobile offers unparalleled reach into consumers’ buying behavior, with its ability to connect with audiences along their path to purchase and at the exact point buying decisions are made. No other medium in history has this ability. The best thing marketers can do is think both strategically and logistically when employing advanced mobile targeting and messaging tactics. It’s easy to get excited about new technology, however the technology is merely the means to an end – ROI does and always will reign supreme.